Do you live in one of Michigan's safest cities? A report by SafeHome.org found that on the national level, Michigan has nine of the 100 safest cities in the country and another 13 in the top 500. "Over half of the top 25 safest cities in the state have a safety rating above 80, a rare accomplishment among all the other states," according to the report. 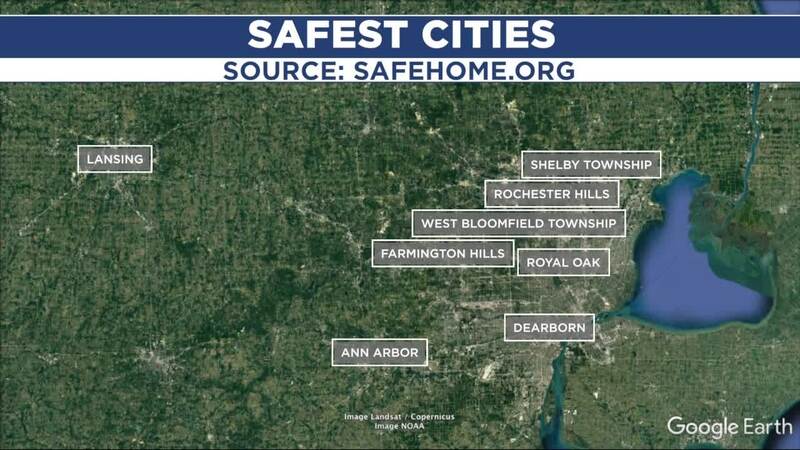 Rochester Hills and West Bloomfield Township had a safety score of 90 out of 100, earning them both a spot in the top 5th percentile in the United States. The safest city in the state is Rochester Hills with a safety rating of 90.61 and a population of 73,660. It is just north of Detroit, with a very good education system. One of the most notable people to come from here is Madonna, as well as many major league athletes. The combination of being on the outskirts of a major city, a good education system, and a median age of 40 years, seem to all contribute to the high safety rating this town has.